In an attempt to blog more regularly, I’m adding some theme days…. including today, Two Things Tuesday. So let’s get to it. 1) I am so excited about The Running of the Green this weekend. It’s a four mile road race in Green Island, NY. Honestly I’m not that excited about the race itself. I doubt that there is anything that fantastic about it. What I’m excited about it what it represents. It represents the start of the race season and quite possibly the end of this horrible weather? I’m ready for spring, warmer weather and races. Just Sunday it was 50 degrees and I became optimistic that the end was in sight. 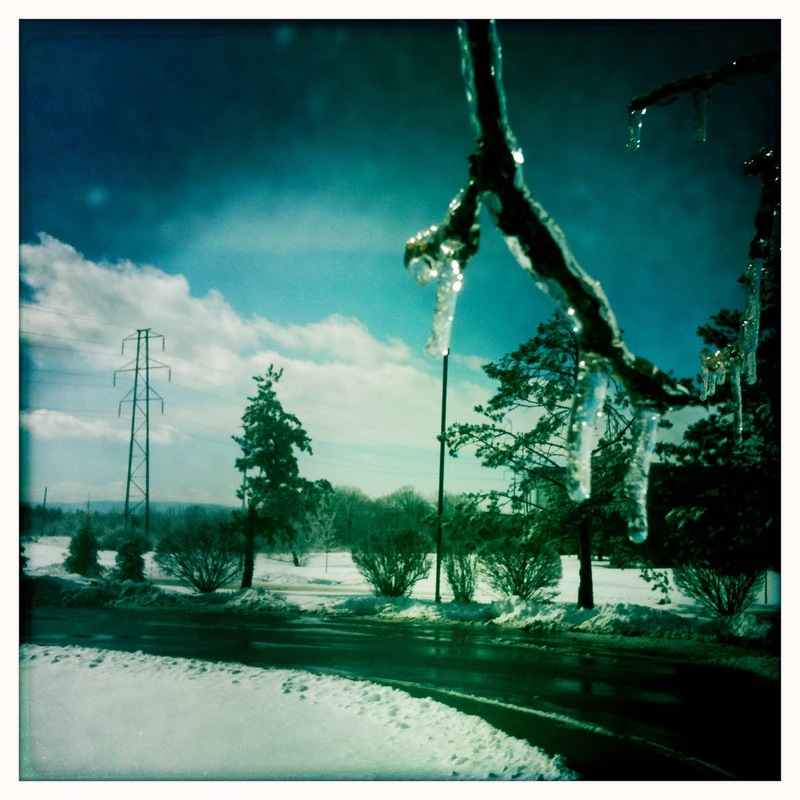 And then I woke up yesterday and this is what it looked like. 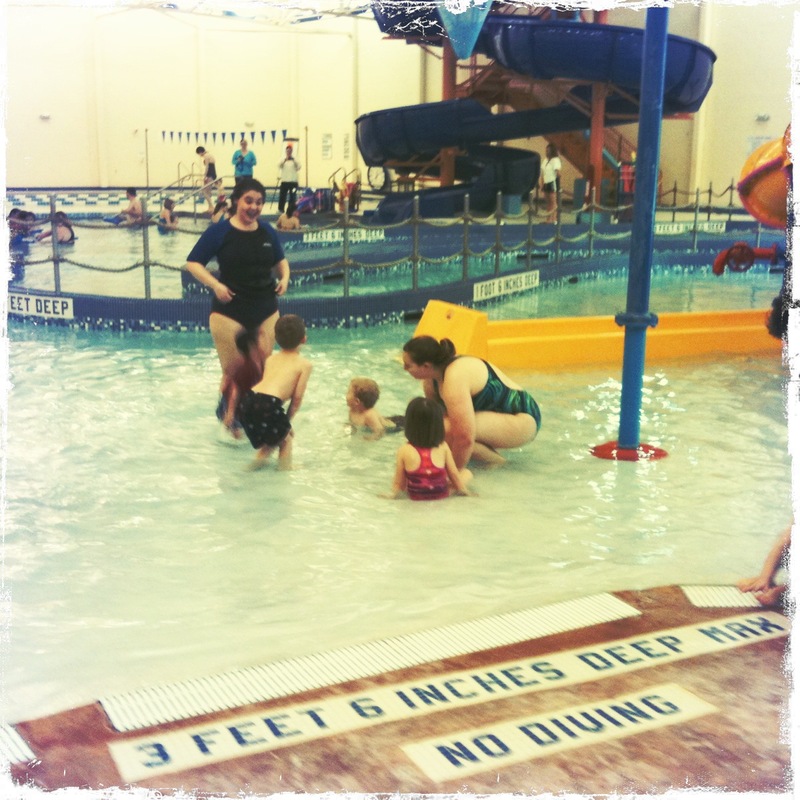 2) I’m still super excited about the swim classes that C is currently enrolled in. 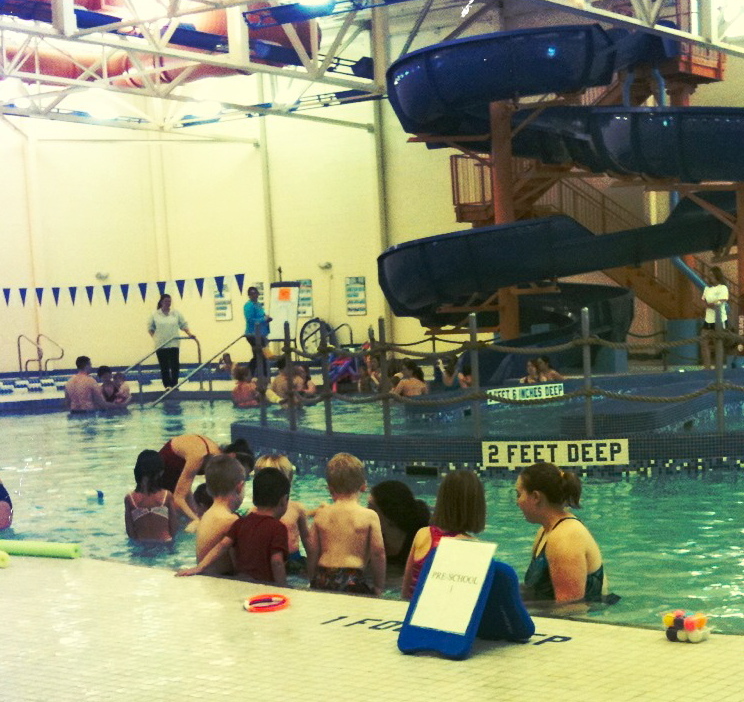 This is his first swim class without me. He is physically in the water with a teacher and I’m sidelined. We’ve only been to one class, but he did fantastic. I was nervous as in the locker room he asked me more than once to get changed into my swim suit. I explained several times that I would not be swimming and was frequently met with yes Mama, you swim with me. But once out in the pool area, he was fine. Like a fish in water he got right in and follow direction wonderfully. While he’s not swimming around like a pro, this is a huge step for us! And I can say that I love not getting in the water and singing the wheels on the bus. Oooops! Did I just admit that out loud. Yeah not my favorite. Check out the pics of C though! So fun! Happy Tuesday! What have you got going on? This entry was posted in C-man, Race, Running, Two Things Tuesday, Weather. Bookmark the permalink. Sarah- I have heard the running of the green is the most beautiful course to run. I hope you enjoy it. I so know what you mean by a race representing the beginning of race season. All the years I lived in Chicago, the Shamrock Shuffle was *the* kick-off to the racing season. I used to live within five minutes walking distance to the start of that race (and the Chicago marathon) and probably did it at least ten years in a row. That kind of energy is tangible! Enjoy your race, and here’s to a strong running season!